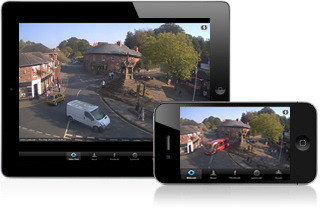 Want to view a live streaming version of the webcam? Download the iPhone & iPad app! Sponsor the webcam! Your advert here! This page gets hundreds of visitors daily. Want to be a webcam sponsor? Contact us. Check out the scenic photographs of Lymm and Warburton - Click here. If you spot any unique/ interesting images, right click to save the image! Email us the image and you may win a prize! The webcam is reset around 2am which means the image may not be available at this time.